Today Miss Leatherland found a mysterious box in the classroom. It contained lots of different items about the characters in our new story. 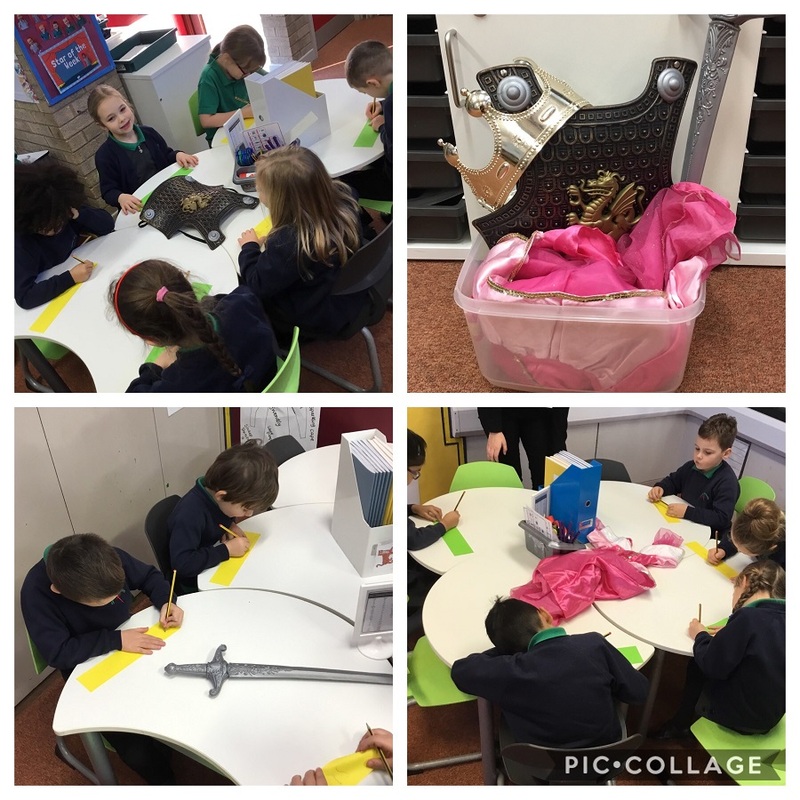 The children predicted who and what might happen in the story based on the objects and we thought about what the title of the story might be. 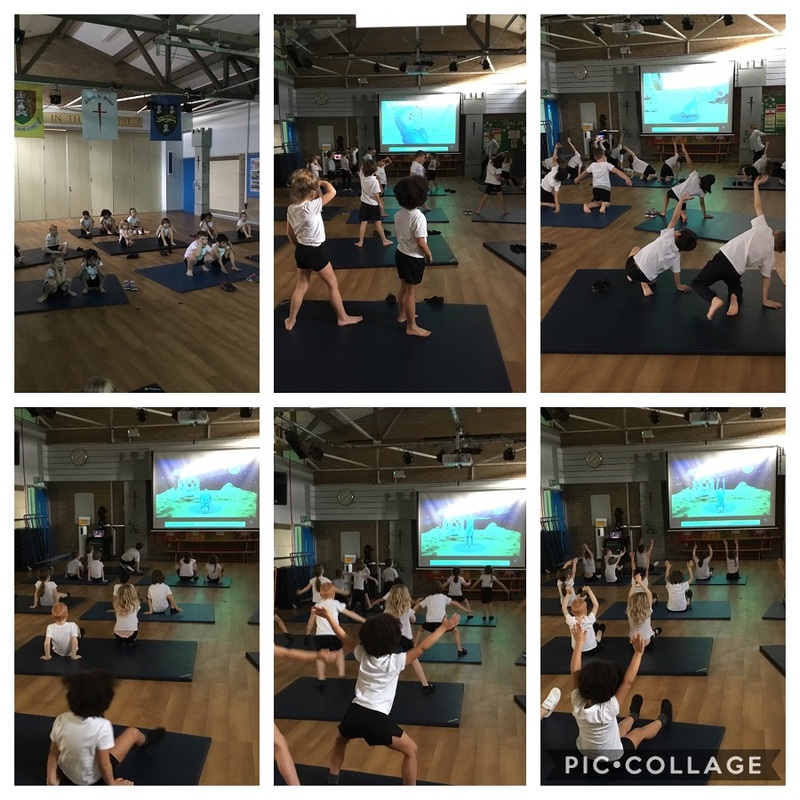 In PE we were working on mindfulness, balance and co-ordination (Miss Leatherland kept wobbling over). We completed a yoga story all about space and had to perform different movements to act out a story. Everyone tried really hard and definitely felt the benefits of the yoga session. This afternoon we had some time to go into the library and explore the books in school. 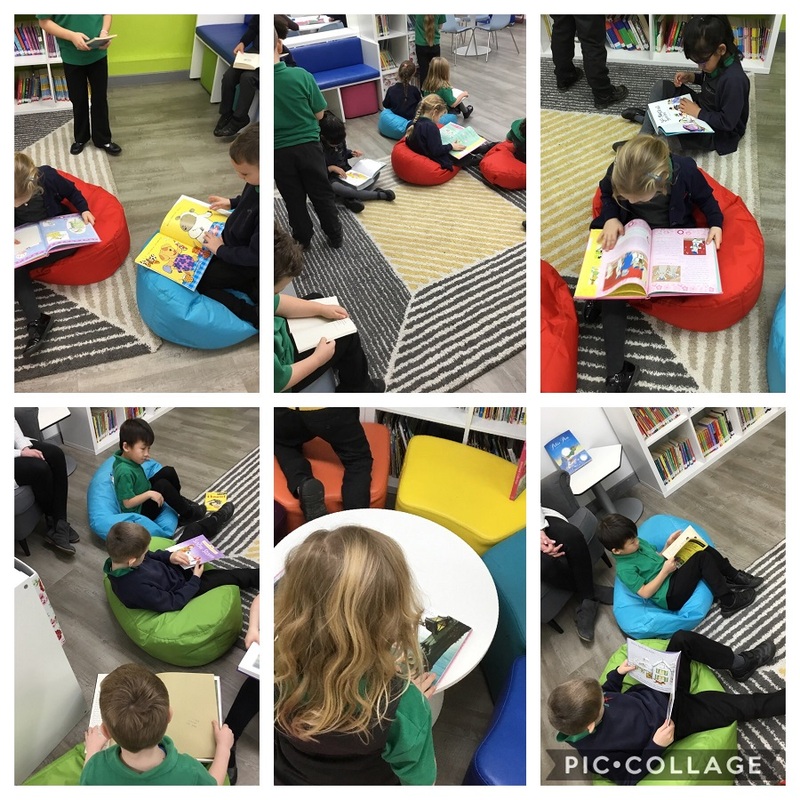 We looked at how we look after the library so the books are well looked after and enjoyed sharing the stories with our friends. In Maths we have been learning about addition and using resources to support our calculations. 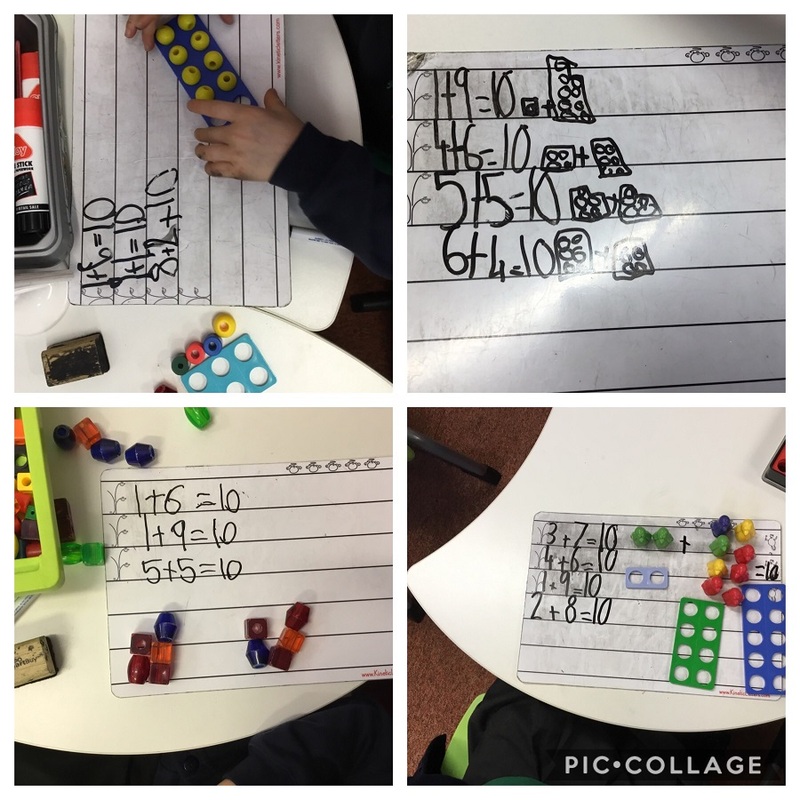 We have used numicon, number lines, objects and many more ideas. I have been very impressed with how the children have had a great growth mindset with the trickier concepts, everyone has tried very hard! Well done! Hello to Paddington Class and Miss Leatherland! I am really excited about writing this message. My favourite thing was yoga, because I liked doing the actions and joining in. The hot buttered tea cake was really delicious. My favourite bit of billy the brave knight was when the princess got saved by the horse. 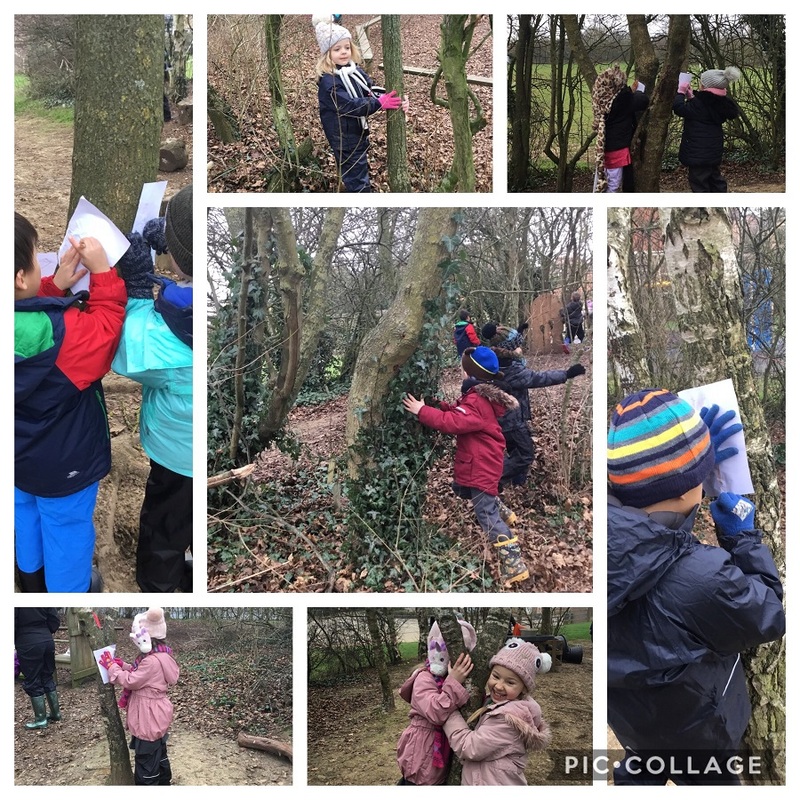 Hello to Paddington class.I like Forest school😎😀.I like my teacher a Yusef.I enyoy math.😊Have great weekend from Samuel.